Well y'all, this week is all about the camper. Behind the scenes over here, we're making sure that there are no issues and that the camper is ready for it's maiden voyage coming up real soon. Fingers are crossed that I make the time to get photos of her all set up and looking her best in the next couple of days. I'm just giddy! 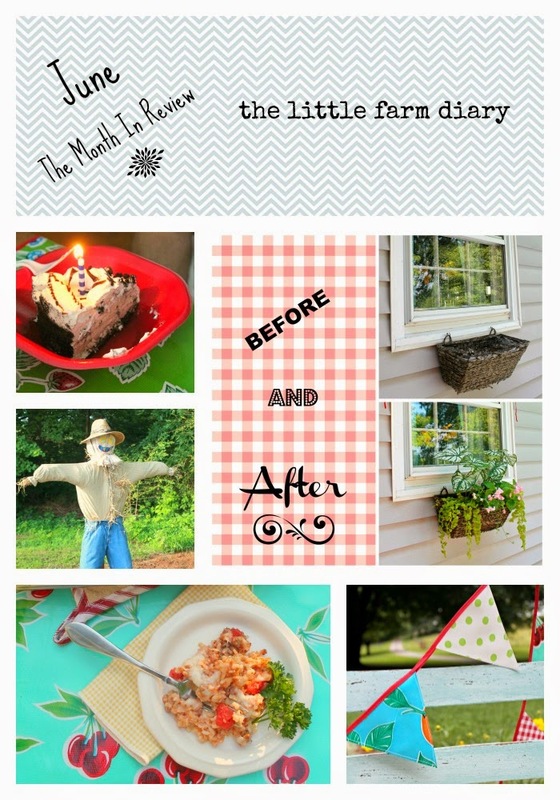 Since we are totally distracted, I thought I'd re-post one of my favorite spring DIY's. Lord only knows I'm not doing any outdoor spruce-ups over here right now, so, I'll wistfully remember my last spring's 'Window Box Tutorial". Today, we're gonna play in the dirt! And, when we're all done, you'll have all the information you need to plant a simply beautiful window box. For twenty years I've had window boxes on whatever house we've lived in, and even a condo too! They are just charming and they have a lot of punch in such a small package. 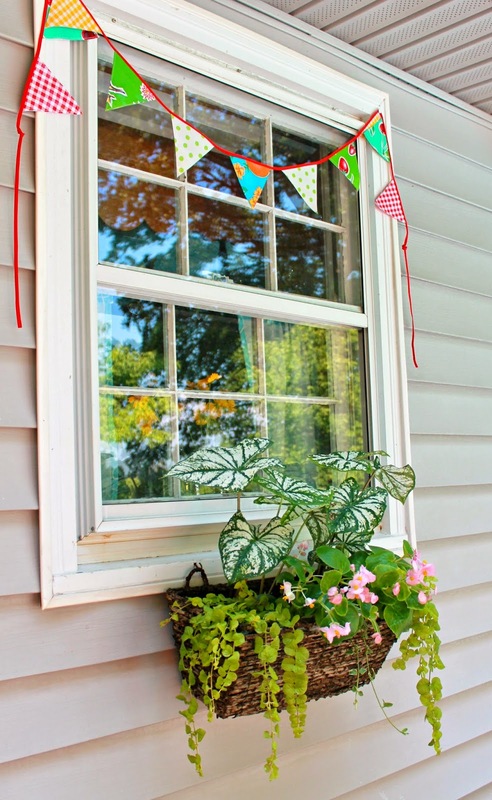 They have the power to really boost your home's curb appeal. 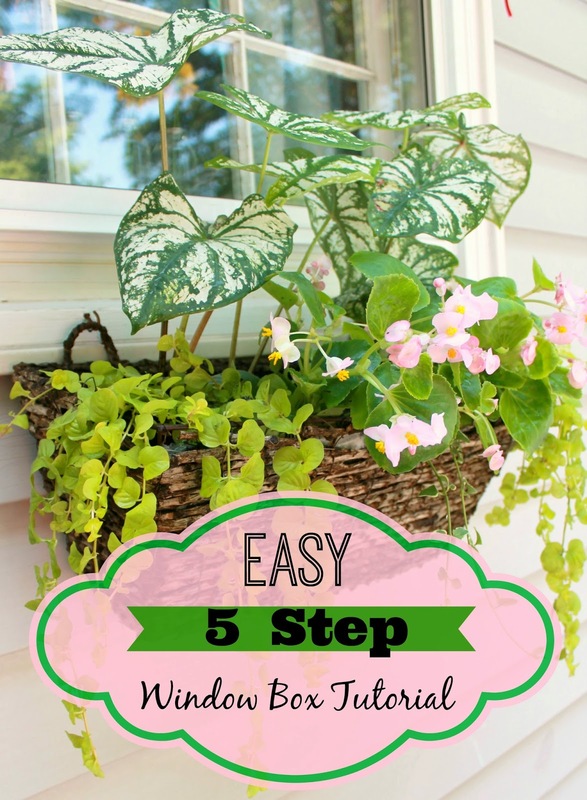 I'm going to break down the process of planting one into a few super easy steps. 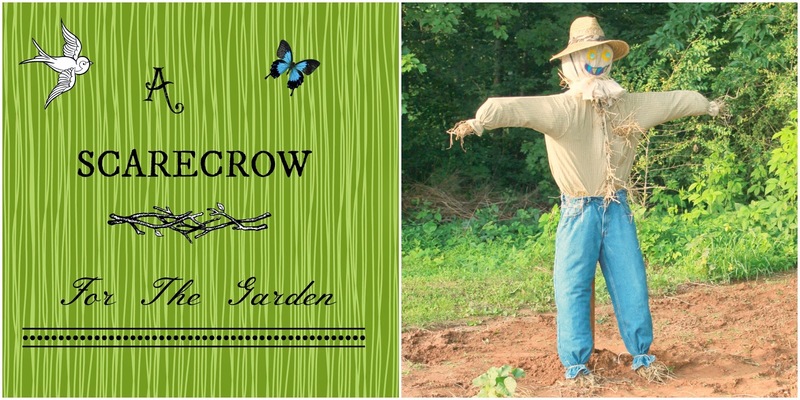 By the end of this post, you'll be running to your local garden supply center to pick up your supplies to plant one too! Don't believe me? Stick around, it's crazy simple! 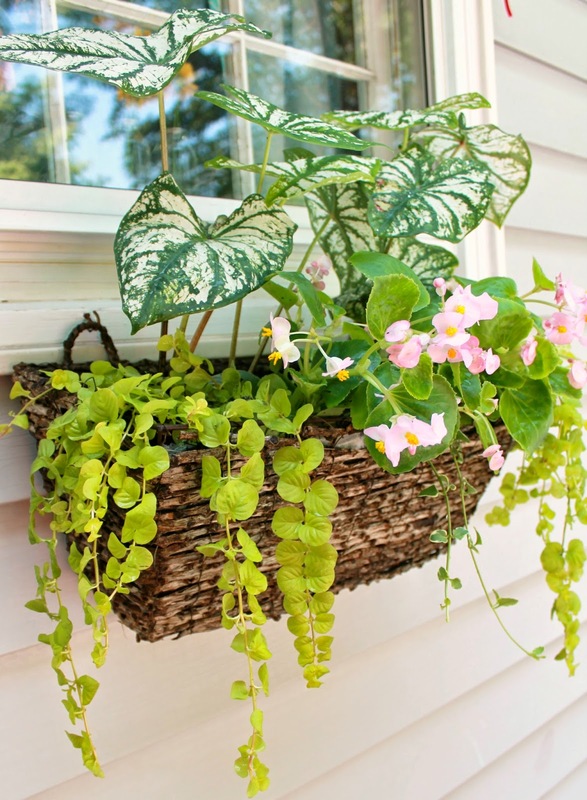 First, you need a window box planter. These are super duper cheap all the way up to crazy expensive. There are also LOTS of online tutorials to make your own if you're feeling crafty. 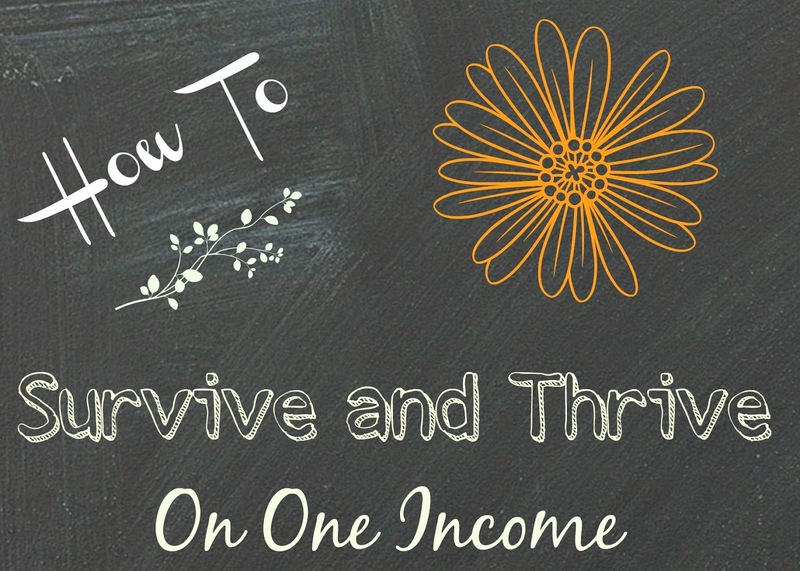 If you've been with me on this blog long, you'll know that I always shoot for the best for the least. With that said, here's a photo of my really sad, OLD window box planter. Stay with me now, I know it looks wretched, but this will all come together in the end, I promise! I found this years back at Lowe's on clearance, and as you'll see in a moment, how it looks empty really doesn't matter. When it's all filled up with green lovelies, you'll hardly see the planter anyhow. 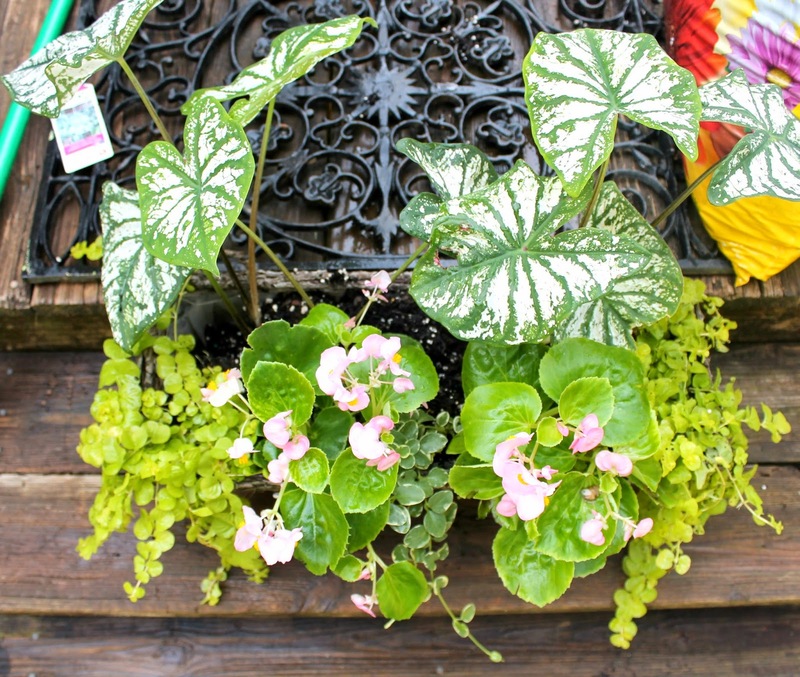 First, head to your garden supply center and look for 3 varieties of plants. 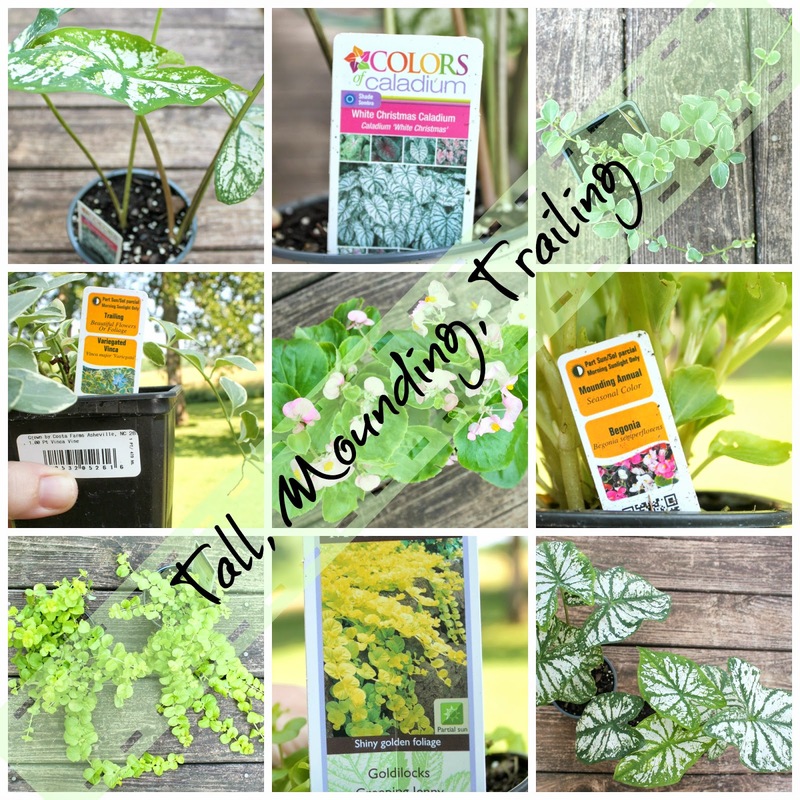 Here are your three keywords when shopping for plants- tall, mounding, trailing or creeping. You will need 2 tall plants, 2 mounding plants, and 2 or 3 trailing or creeping. See, super easy! Just read the little tags on the plants and you'll see those keywords. 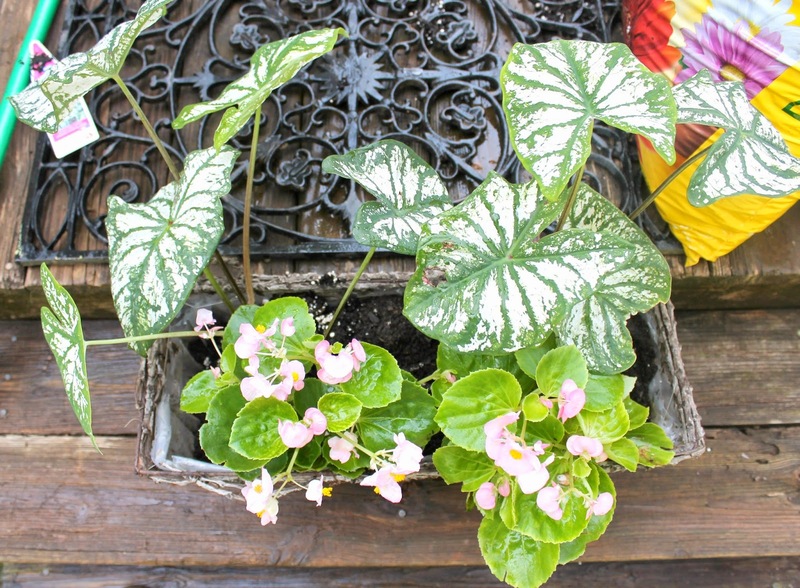 Look for annuals because they'll give you the most bang for your buck. Also it's really important to know if your box will have mostly sun or mostly shade. You'll find that plant info on it's label too. My box gets all shade, so I've picked my plants accordingly. So, are we good so far? Also grab a good bag of potting soil. Now we're all set to plant! 4. Next, add your trailers or creepers to the sides and front of the planter. 5. 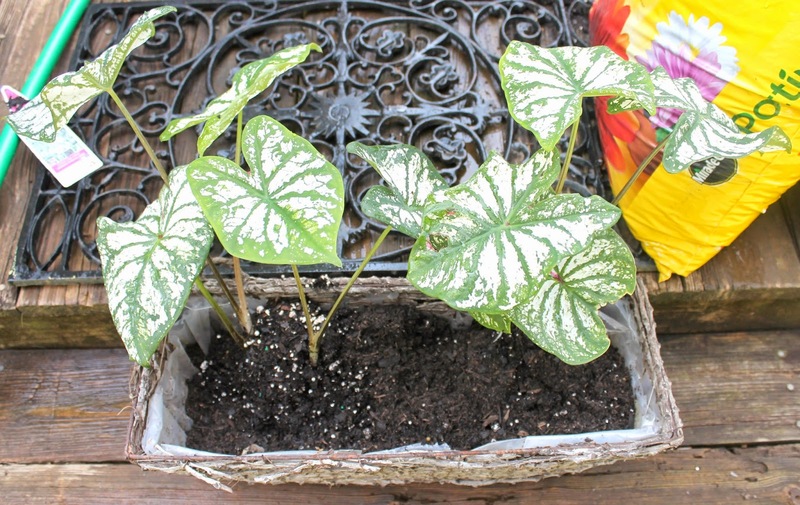 Fill in any holes between the plants with more potting soil and you're all done. See, I said easy, right? 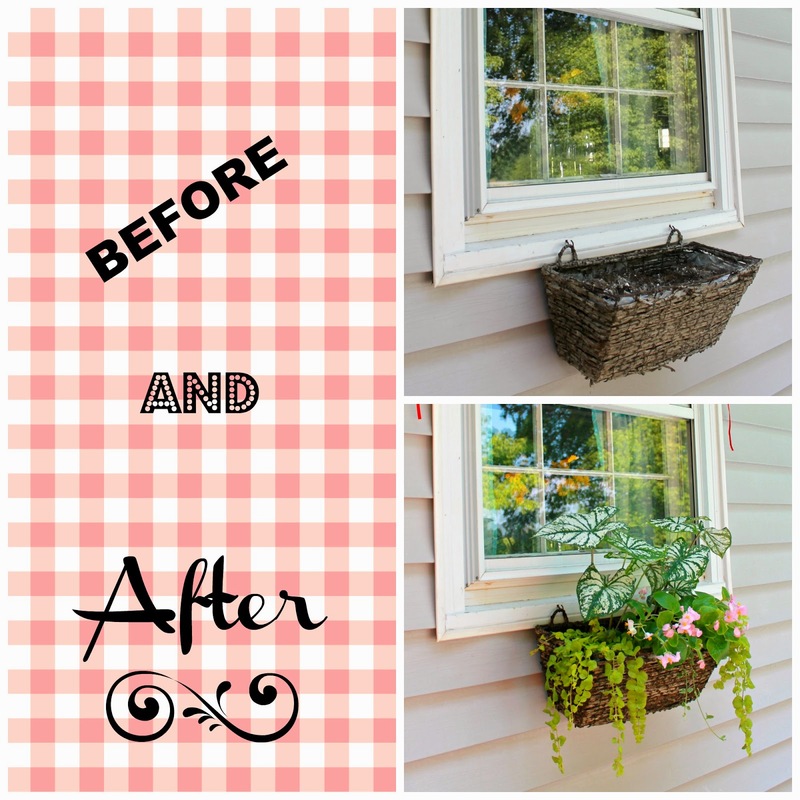 Check out this before and after, big difference, huh? Now, go forth and get those hands dirty folks! And send me some pics of your before and afters! I'd love to see your ideas! 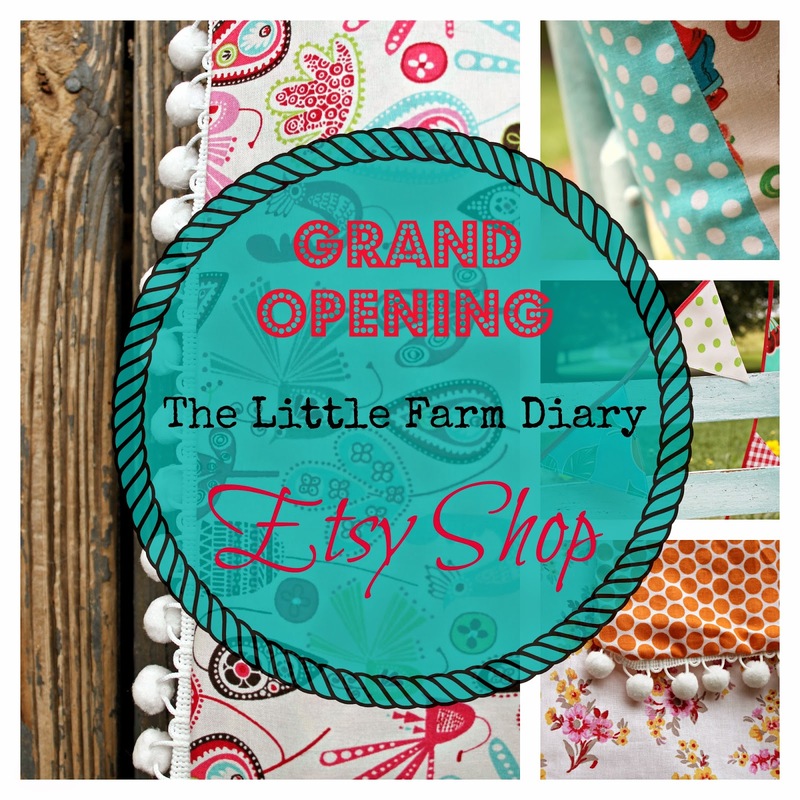 And for a shameless plug, if you're liking that super cute, all-weather, oilcloth banner, it will be in my Etsy shop opening this week! Hint, Hint! Now, go forth and get those hands dirty folks! And send me some pics of your before and afters! I'd love to see your ideas!